Marla J. Ferguson Law, P.A. represents those who have been injured as a result of the negligence of another. Negligence is the failure to exercise the degree of reasonable care expected of someone in order to minimize the risk of harm to another person. Auto Negligence is defined as when a person fails to operate their motor vehicle in a reasonably safe manner. Whether the injury is caused by Auto Accident, Dog Bite, Slip and Fall, Trip and Fall, workplace accident, construction injury, pedestrian injury, or any other type of accident, Marla J. Ferguson Law is the firm you need to make sure you are properly and adequately compensated for your injuries, lost wages, pain and suffering, and any other loss that you have sustained that entitles you to compensation under the laws of the state of Florida. The Statute of Limitations for Negligence claim in Florida is four years from the date of the accident. Fla. Stat. §95.11.(3)(a). There are also strict time limits within which you must seek treatment following an accident in order for Personal Injury benefits to cover such treatment. 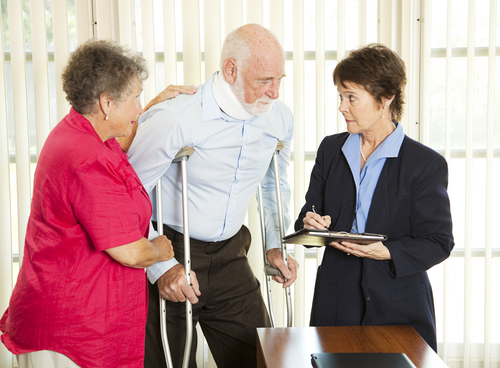 If you have been injured, do not delay, makes sure to call Attorney Marla J. Ferguson immediately. We know that a huge part of choosing an attorney is finding someone you trust, especially when it is a case that involves your physical and or mental health and wellbeing. Attorney Marla J. Ferguson has extensive experience settling Personal Injury cases in South Florida and getting the best results possible for her clients. If you or someone you know has been injured in an accident and feel that there is no recourse because the negligent party does not have insurance coverage, there are other options and avenues available to get you the compensation you are entitled to. Call Attorney Marla J. Ferguson today to get answers to all of your personal injury questions.